I know the mainstream media is still licking its wounds after President-elect Donald Trump smacked them around in his first press conference since winning the election. And I hate to add salt to their wounds, but it seems they’ve got a case of amnesia. The media feigned outrage after Mr. Trump refused to take a question from a CNN reporter. He went all-out against the network because they reported on an unsubstantiated 35-page document that claimed Trump is being blackmailed by the Russian government. Trump praised those in the media who had restraint from peddling the false report. But the mainstream media rallied around CNN. “The journalist whom Trump called on should have yielded to CNN. Don’t allow him to refuse to answer Qs from certain news outlets,” Politico reporter Peter Sterne tweeted. Acosta whined that incoming press secretary Sean Spicer threatened to toss him out of the press conference after he repeatedly interrupted the president-elect demanding to get his question answered. I can’t recall the mainstream media rallying around Fox News anytime over the last eight years when President Obama attacked them. Then-candidate Obama complained he would be polling higher if Fox didn’t exist. This may work in soap operas and song lyrics, but that’s not exactly the best start to a working relationship with the press. He needed someone to blame for the massive losses because the next election was his. Obama went after Fox News on the campaign trail for his health care law. During a pre-Super Bowl interview, President Obama suggested Fox News’ Bill O’Reilly was being unfair for asking questions about ObamaCare’s shortcomings, the IRS scandal and Benghazi. Because, as Obama’s longtime adviser Valerie Jarrett said in a recent CNN interview, “The president prides himself on the fact that his administration hasn’t had a scandal and he hasn’t done something to embarrass himself…” Yes, she really said that. 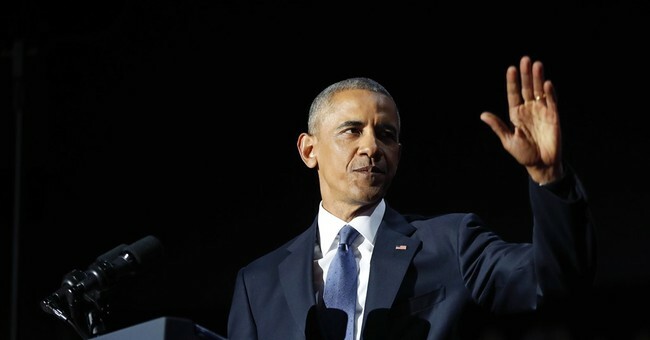 President Obama insisted ObamaCare is “working pretty well in the real world” despite it being a “fanged threat to freedom on Fox News” in a speech at Northwestern University. Nevermind the painful costs it’s incurring now, and the fact that Democrats can’t defend it to save Obama’s legacy. Time and time again, Obama used the bully pulpit to blame Fox News for his losses, but the mainstream media didn’t come alongside Fox. Trump was right to do what he did – given CNN’s shameful act. CNN should commit to honest reporting – or get used to reporting from the doghouse.